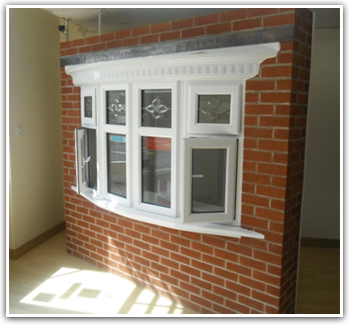 Harmony Windows Ltd offers a multitude of options to complement your installation. You can choose to have your installation triple glazed which improves the energy efficiency of your home. i.e. reducing heating bills. You can have bevels, coloured films with lead work and roc-décor (grills between the units). You can have any coloured profile to enhance your home inside and out. Our casement windows also include the Q-Lon pre-inserted weather sealed gaskets. The Dura flex profile is constructed using the Q-Lon seal to all sections. Q-Lon has been vigorously tested and has the best thermal and acoustic performance. When carrying out installations to your home, we only use what we consider to be the leading profiles on the market today. We use Dura flex profile for uPVC casement windows, conservatories, doors and tilt and turns, with Veka profile for our vertical sliding sash windows. Alongside our profile we install Planitherm glass which is the most energy efficient glass on the market today. Combining these products and excellent fitting create the best energy efficient double glazing on the market. All casement products can be supplied and installed to certain specifications to enable the product to achieve the necessary WER (Window Energy Rating) being A, B or C. All our products are supplied and installed with the appropriate BRFC label. Also a FENSA certificate will be issued to the customer once the installation has been completed. Windows are also available to meet the Secure by Design standards; this is based upon meeting the requirements of BS7950 and exceeding the ‘Enhance Resistance’ testing. 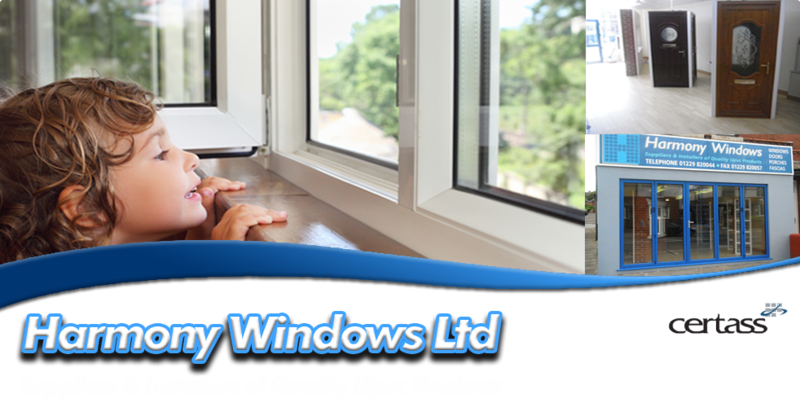 Harmony Windows Ltd gives a 10 year guarantee. When you require double glazing installers in Barrow-in-Furness then you should call Harmony Windows Ltd today. Alternatively, you can contact with us by filling in the form on the ‘Contact Us’ page or come and visit our showroom.